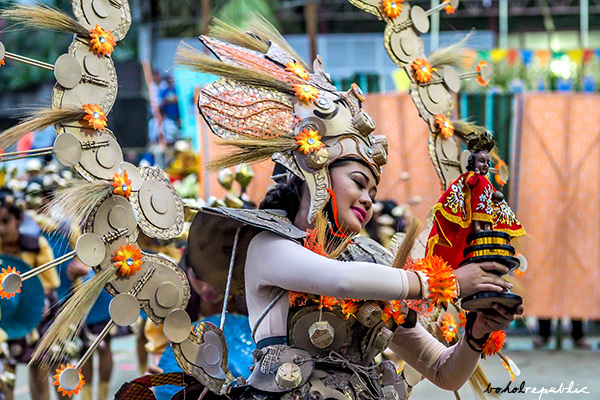 Guimbawan sa Batuan 2018 is Batuan's yearly festival in honor of the Sto. Niño. Sunday morning, 28th of January, there was an unusual hustle and bustle in downtown Batuan, Bohol. While its famous roadside attraction, the ShipHaus, still drew in the usual selfie-stick-toting tourist-types – elsewhere in the poblacion, around the market, the municipio, the plaza, and the ogee-arched parish church, brimmed with people, young and old, excitedly awaiting the start of Batuan’s own Sto. Niño fête, the Guimbawan Festival. Named after the Visayan indigenous drum called ‘guimbao’ in Bohol (‘guimbal’ in Panay, ‘gimba’ to others), made from hollowed trunk and animal skin and which was a staple musical instrument in traditional ceremonies, the Guimbawan Festival is Batuan’s Holy Child Jesus of Prague (Señor Sto. Niño) Feast Day celebration formally established in 1986 by local devotees headed by Rev. Fr. Danilo Maniwan and the Sto. Niño Rosarians led by Mrs. Estrella Payag-Mateo and Mrs. Rose Payag-Perfecto. The costumes look familiar; Guimbawan festival is after all one of many iterations of the ala-Sinulog Sto. Nino-themed festivals in the region. But look closer, those accessories are actually made from flattened bottle caps. Guimbawan Festival may be 33, but it is becoming more youthful and more ‘bibo’ than ever. This year, especially, now that the festival baton has been handed to the younger generation of Batuanons in the name of the “Batuan Creatives” with Pia Pamaylaon Doria (President), Bea Uy-Paraguya (VP), Richel Morala-Tuba (Secretary General/Purser) at the helm, plus the full support of the Municipal Government of Batuan led by Mayor Antonio ‘Dodo’ Jumawid and Vice Mayor Yes Dumagan-Baguio, Guimbawan has become extra ‘extra’ not only in pageantry but more importantly in social and cultural relevance. While Guimbawan is influenced by the Philippine’s biggest Sto. Niño religious and cultural festival, Cebu’s Sinulog (as do most of the cultural festivals this part of the Visayas) – borrowing musically from the familiar ‘Sinulog, Isyagit og Kusog!’, the ‘prititit!’ beat and their latest remixes – this year, the Guimbawan organizers endeavored to create a unique group of standardized dance movements, a Guimbawan signature. Guimbawan is not without the scene-stealing festival princesses. 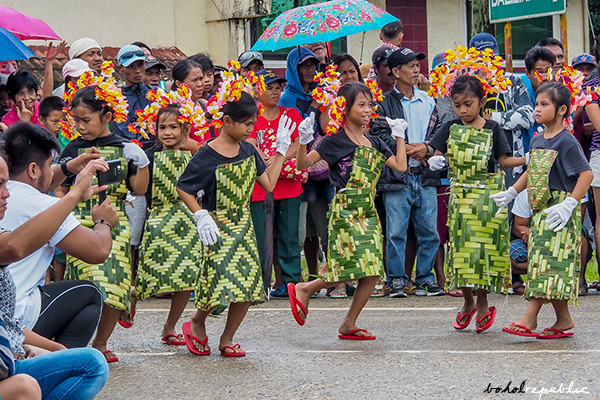 Though still dancing to the ‘Sinulog’ beat, Guimbawan performances now follow these homegrown basic steps: ‘dupa’, ‘binata’, ‘pagsadya ug pagdayeg’, ‘inamakan’, ‘guinimbawan’; and ‘karambola’ (freestyle steps which incorporate the Batuan ‘kuradang’) – giant steps into making the Guimbawan brand of honoring the Sto. Niño uniquely Batuanon. With the familiar ‘prititit’ beat blasting off from the speakers set up at the market square (for the streetdancing showdown) and later on, at the municipal plaza (for the ritual showdown), the balikbayans, devotees and guests were treated with a near nonstop showcase of pagsadya-guinimbawan-karambola garbed in a spectrum of makeup and costume interpretations of the ecological and indigenous that ranged from modestly minimal to wildly theatrical. Traditional materials (not usually used as clothing) like the amakan (above) were used as costumes and/or props. 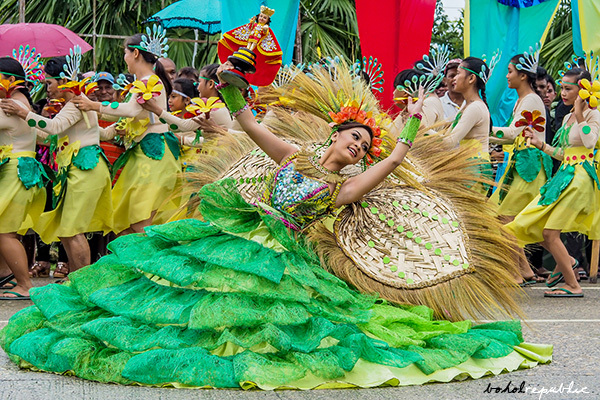 Traditional materials (not usually used as clothing) like the puso (above) were used as costumes and/or props. 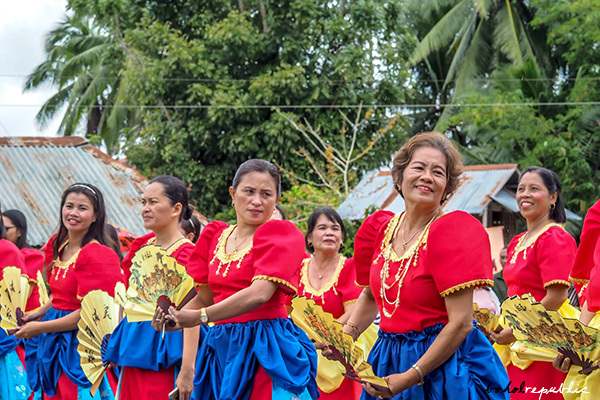 The audience was regaled by a record number of contingents, 23 all in all – with participation from all fifteen (15) barangays of Batuan including the famed far-flung ‘Behind the Clouds’ barangay, five (5) school contingents, and the non-competing groups from the Department of Education (DepEd) Batuan, the Municipal Government of Batuan headed by the Batuan first lady Nora B. Jumawid, and Rev. Fr. 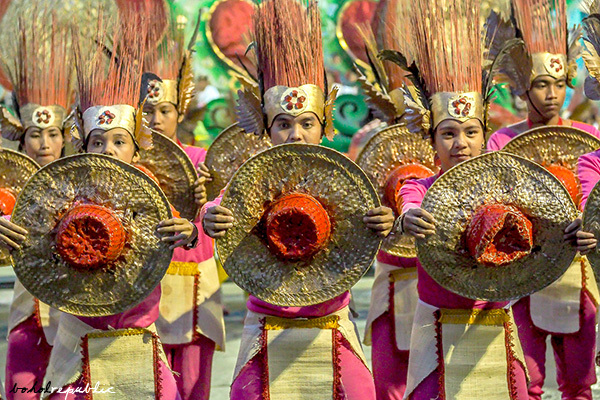 Maniwan’s Taloto, Tagbilaran cultural troupe. Competing in the ‘community category’, the barangays showcased a good mixture of performers, from old to young, females and males, which, though lacking, at times, in form and precision, created a more barn-raised ‘bayle’ feel to their presentations that is exactly what makes community festivals fun, endearing and ‘lingaw’. Meanwhile, the schools category, which may or may not have been fueled by the competitive spirit innate in neighboring schools, upped the ante with their youthful energy, livelier chanting, brisker movements, overall production value (and perhaps a deeper pool of sponsors). In the end, Barangay Sta. Cruz emerged the champion in the Ritual Showdown – Community Category, followed by Poblacion Norte in 2nd place and the barangays of Quezon & Cabacnitan sharing the 3rd place. Barangay Sta. 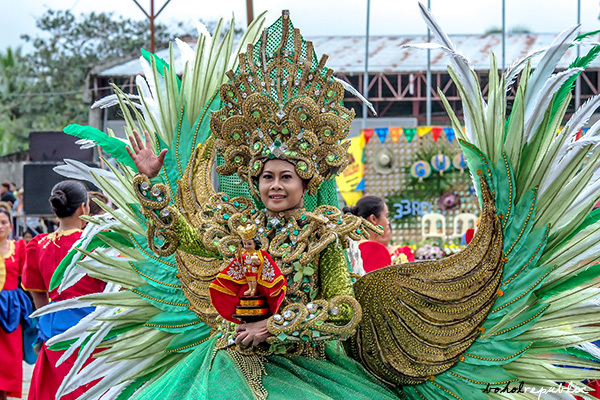 Cruz was the champion in the Guimbawan 2018 Ritual Showdown – Community Category. 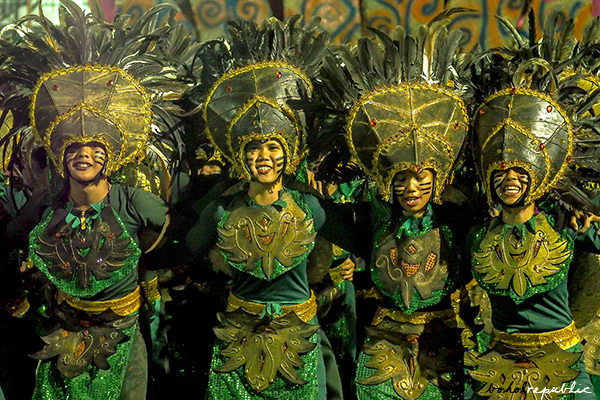 For the Ritual Showdown – School Category, the Batuan Colleges, Inc. contingent was declared the champion. Saint Anthony Academy & Batuan National High School shared the 2nd place, while Quezon High School was 3rd placer. 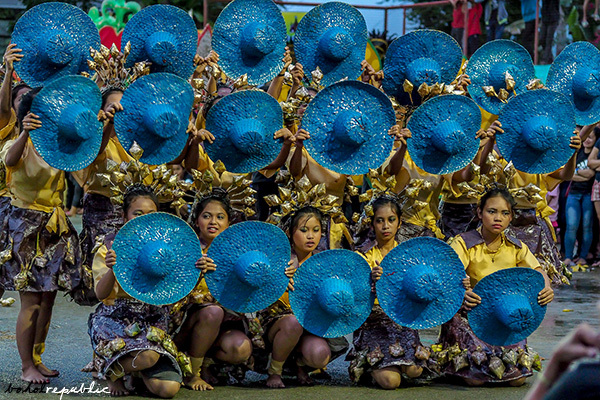 Batuan Colleges, Inc. was the champion in the Guimbawan 2018 Ritual Showdown – School Category. 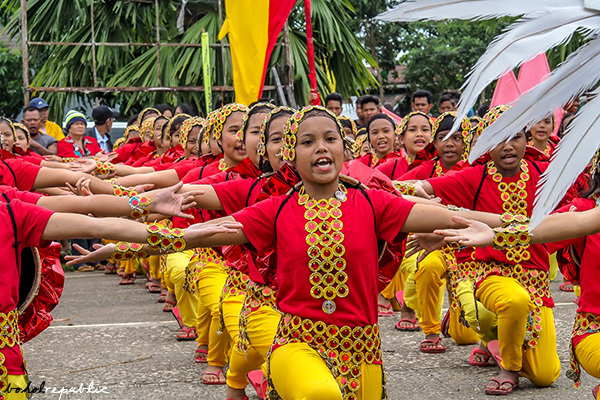 Saint Anthony Academy shared the 2nd place with the Batuan National High School in the Guimbawan 2018 Ritual Showdown – School Category. 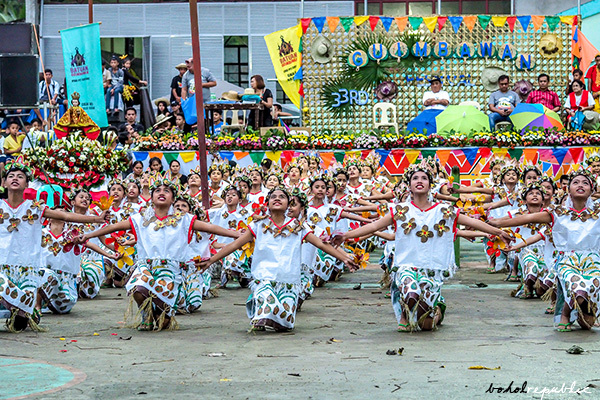 Batuan National High School shared the 2nd place with the Saint Anthony Academy in the Guimbawan 2018 Ritual Showdown – School Category. 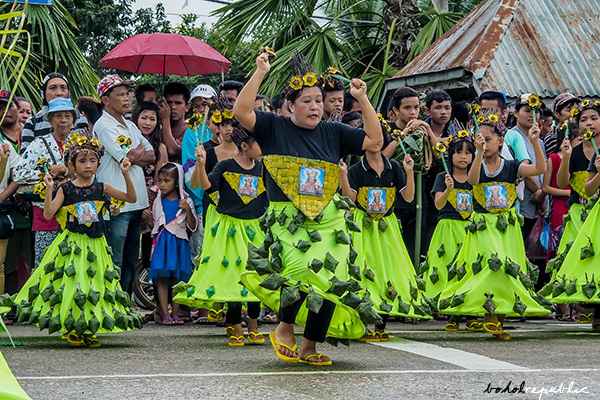 The Guimbawan Streetdancing and Ritual Showdown was judged by the former chair of the National Commission for Culture and the Arts, the formidable composer, scholar and professor Felipe de Leon, Jr., along with Bol-anon artists and cultural advocates Gloria Araneta, Fiel Angeli Araoarao-Gabin, Butch Bernas and Edison Gumapac, who were instrumental in the creation of the basic Guimbawan steps, and (this writer) Liza Macalandag. 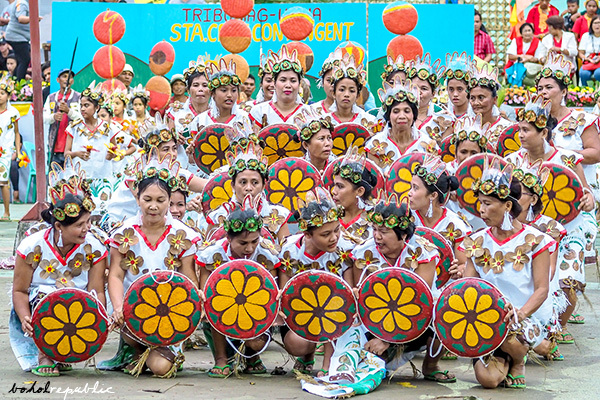 The Princess of Peace (Festival Queen) – School Category was given to both Batuan National High School (BNHS) and Batuan Colleges, Inc. (BCI), above. 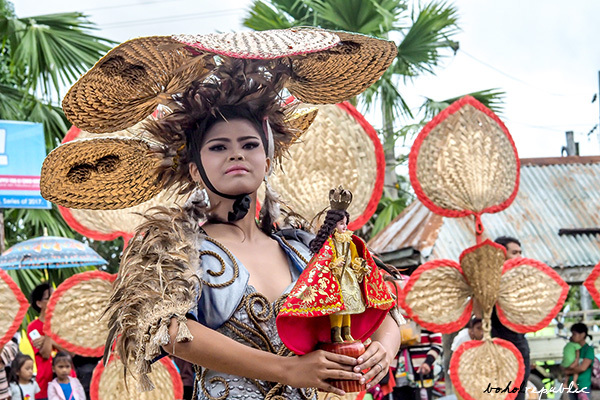 The Princess of Peace (Festival Queen) – School Category was given to both Batuan National High School (BNHS), above and Batuan Colleges, Inc. (BCI). With the special participation by DepEd Batuan. Best in Production Design: Batuan Colleges Inc.
Best in Choreography: Batuan Colleges Inc.
Best in Musicality: Batuan Colleges Inc.
Princesses Of Peace (Festival Queen): Batuan National HS and Batuan Colleges Inc.